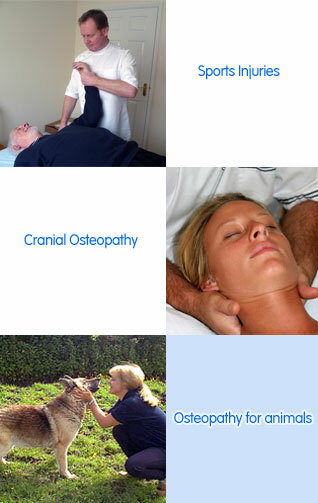 Why osteopathic treatment for animals? Although animals have a more natural lifestyle than we do as humans, there is still the potential for them to suffer from the same joint and muscle pain that can affect us. Often, the use of drugs and rest are not enough to restore normal function following injury. Although any symptoms that might have developed will appear to improve for a while, it is all too often the body’s ability to compensate that brings about this apparent recovery. As time goes by, the effort required to compensate for injury will cause damage and fatigue within the musculoskeletal system. The original problem will invariably return, often along with other complications. Pain is a warning signal that something is wrong. If left unnoticed or untreated, further damage is likely to occur as the compensation mechanisms break down. This will put undue wear on the skeletal frame, eventually causing irreparable damage to joints and soft tissues. Specialised assessment techniques used by osteopaths maks early evaluation and treatment of injury possible. The body can then restore itself to normal function. Most dogs enjoy exercise and have a natural agility. They are also very loyal and eager to please, and it is not always easy to recognise when they are experiencing pain or discomfort. For their sakes we need to be aware of the signs. Any pain or discomfort may manifest in a change in an animal’s behaviour, as they attempt to avoid doing anything that will make them more uncomfortable. They might start to ignore commands and become uncooperative, or even become depressed and withdrawn. Dysfunctions in the musculoskeletal system can occur as a result of injury, riding and schooling techniques, badly fitting tack, exercise and training programmes, and more. 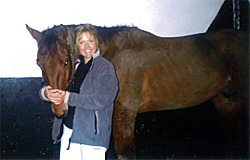 Compensations within the horse’s body cause long-term damage, leading to stiffness, poor performance and joint damage. Early evaluation can prevent problems developing.